The BiblioSanctum is participating in Sci-fi Month so I’m going to try to feature science fiction picks for my WoWs for the month of November. 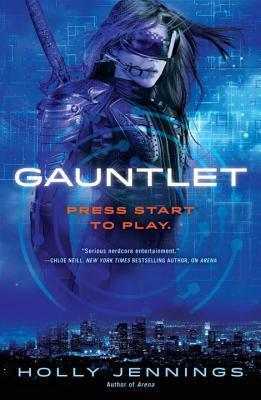 I’m looking forward to this sequel to last year’s Arena, a gritty and futuristic sci-fi novel about professional gamers who compete to the death in high-stake virtual competitions. Yep, they redid the cover to the first book in this style too. I like it better. Ooh nice! Totally new to me one but looks intriguing! I think the main character is a team owner now, and it sounds like the teams could be going up against AI now instead of other players, which ups the stakes. At least that’s what it sounds like to me from the blurb. So I’ve had Arena on my TBR for quite some time and after seeing this one, I want to read it even more. I like this cover better too. Yep, for some reason they decided to redo the cover of the first book and made this to match. I like it a lot more too though. I’m loving the cover, and this makes me want to go back and pick up Arena, which I somehow missed. I actually remember you featuring Arena and reading the blurb here^^ I was reminded why I wanted to read it too! GREAT pick! I need to get to Arena SOON.